Shivraj Chouhan insinuated that the opposition's objections to the CAG report on the Rafale deal were nothing but a political tantrum. Shivraj Singh Chouhan said that no certificate is enough to satisfy the opposition on Rafale. 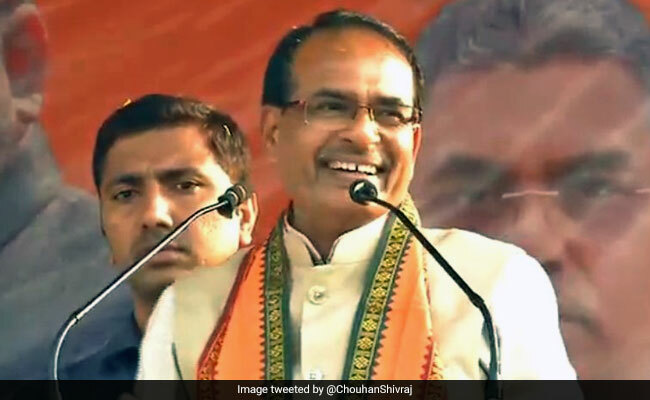 Former Madhya Pradesh Chief Minister Shivraj Singh Chouhan today criticised the Opposition for rejecting the Comptroller and Auditor General (CAG) report on the Rafale aircraft deal, stating that everything looks wrong to a person viewing the world with jaundiced eyes. The national auditor's report submitted to the Rajya Sabha held that the Rafale deal sealed by the Narendra Modi government was 2.8% cheaper than the one negotiated by the previous Congress-led United Progressive Alliance administration, but refrained from including the controversial point of pricing on the Defence Ministry's insistence that those details cannot be revealed. Entire portions referring to the cost in the report had been redacted, spurring protests from the opposition. Mr Chouhan, in a tweet, insinuated that the opposition's objections to the CAG report were nothing but a political tantrum. "This is not right, I want that. But even that isn't right, I want that other thing. And that and that and that! Oh, brother... how can only you be right, and everything else wrong? They say that everything looks yellow to a person looking at the world with jaundiced eyes," he claimed. The Congress and other opposition parties have dismissed the report as biased because chief auditor Rajiv Mehrishi was the finance secretary when the deal for 36 Rafale fighter jets was inked in 2016. The Congress alleges that Mr Mehrishi was "complicit in the irregularities" in the Rafale deal, and alleged that "the bungling happened at the highest level with his direct or indirect complicity and consent". "This is a corrupt deal and fair investigation should be done, but how can the CAG investigate himself when he was the Finance Secretary at the time? There is a clear conflict of interest here," claimed senior party leader Kapil Sibal. Union minister Arun Jaitley, however, has described the opposition's charge as yet another attack on the CAG by "institution wreckers". He explained that defence ministry files are dealt with by the Secretary (Expenditure), and the Secretary (Economic affairs) has no role to play in the expenditure files of the Defence Ministry. The Congress has accused PM Modi of being directly involved in the alleged irregularities committed in the purchase of 36 fighter jets from France's Dassault Aviation in a fly-away condition. It also claims that the earlier deal was altered with the sole purpose of benefiting industrialist Anil Ambani's Reliance Defence.